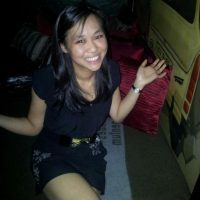 Whist shopping around Eastland, we got a call from the Creative couple and they wanted to have dinner. We suggested Eastland since we were already there and of course, I wanted to try out the food at Kyoto Cafe since I was only there for coffees last time. We made a booking just in case since it was a Saturday night and in we all went. If you haven’t been here before, it’s a very spacious place with two levels. We were seated in the upper level and the creative couple was already there when we got there. I got a drinkie but I kinda forgotten what it was called. 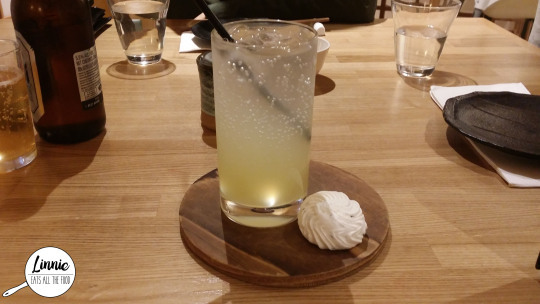 It had yuzu with lemonade and it was very citrus-y AND refreshing. I loved it!! I wasn’t overly hungry so I opted for something on the smaller side. 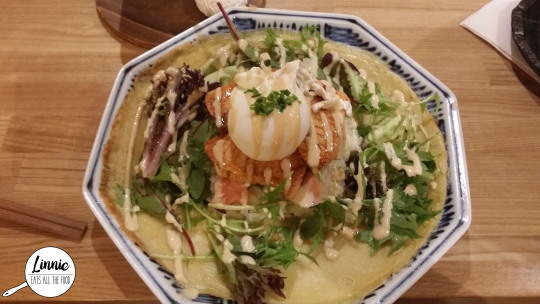 I got the salmon crepe because it sounded really interesting and comes with a poached egg. 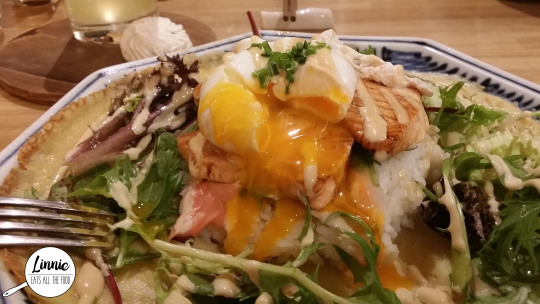 The egg and salmon sat on a bed of rice with greens surrounding it. The salmon was slightly grilled and was perfect. The crepe was light and fluffy and not too thick. The best part was the egg. It was yolk-ily wonderful and it was egg-cellent. A perfect poached egg. 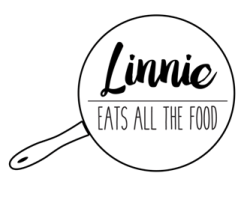 I LOVED this dish and would definitely come back for it. Both boys got the Black pork katsu bento box with steamed egg custard. 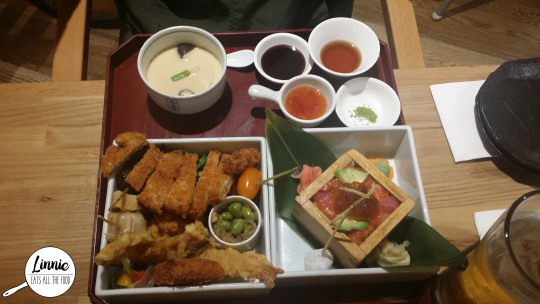 This bento box was GINORMOUS and it is worth the money. There were black pork katsu, steamed dimmies, tempura, sashimi and many more. The boys really liked everything in the bento, especially the steamed egg custard. Miss Creative got the grilled salmon dish (I think that’s what it’s called) and this came with quite a bit as well. Miss Creative didn’t particularly enjoy the salmon, she found that it was quite fishy which was disappointing. 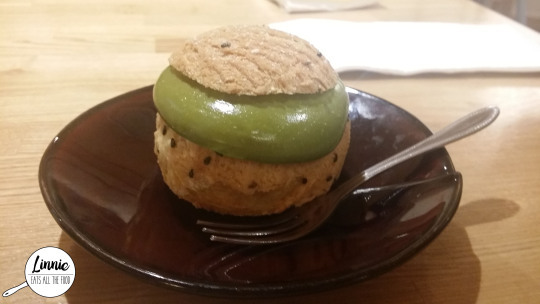 Miss Creative got the matcha puff and this was quite large. I thought they only filled the top with matcha filling but boy was I wrong. The whole thing was matcha-fied. 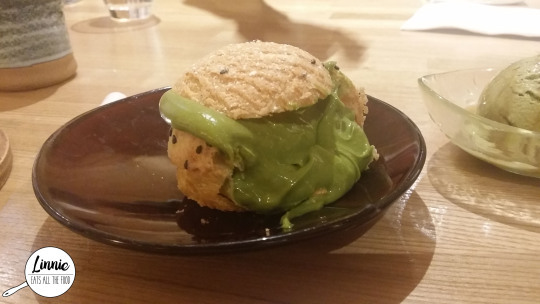 It was oozy and it matcha-ry, it was so droolsworthy. The puff itself wasn’t as fluffy or light as I would have liked it though. 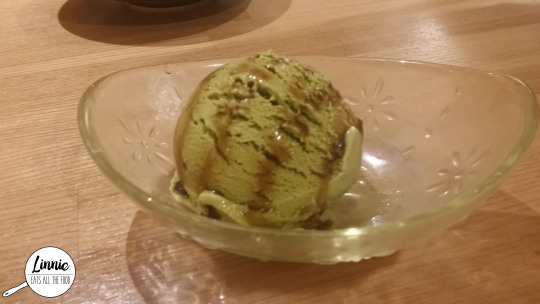 I just got a scoop of matcha ice cream and this was FABULOUS. Very strong in the matcha flavour but not too bitter. Definitely a great way to end the night and feel refreshed. 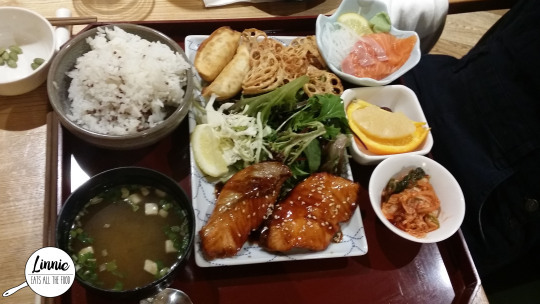 Kyoto Cafe is a great place if you’re at Eastland and in dire need of a Japanese fix. The bento boxes are great value and that crepe, oh my gosh that crepe was awesome. If you love your matcha, they now offer matcha beer as well! 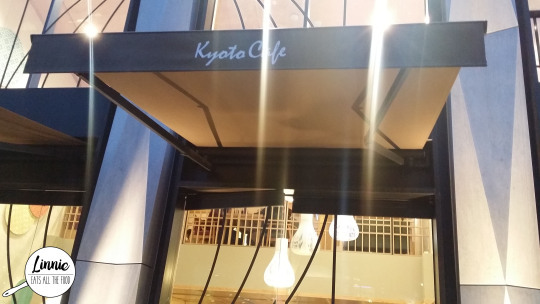 Since I’m going to be a local soon, I’ll definitely be hitting up Kyoto Cafe more.